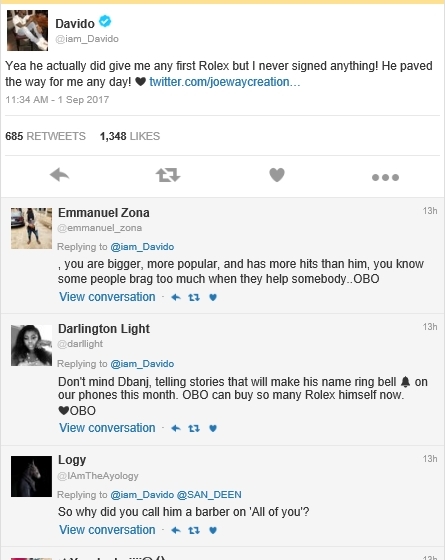 Recently, we brought to you that D’banj was on Spindle Magazine’s artist on artist session where he said that he was the first person to gave Davido his first Rolex back in 2014 when some his (D’banj) staff brought Davido to him for Records deal but later got to annulled the deal after Davido’s parents said they don’t want him to sing but to study in school. 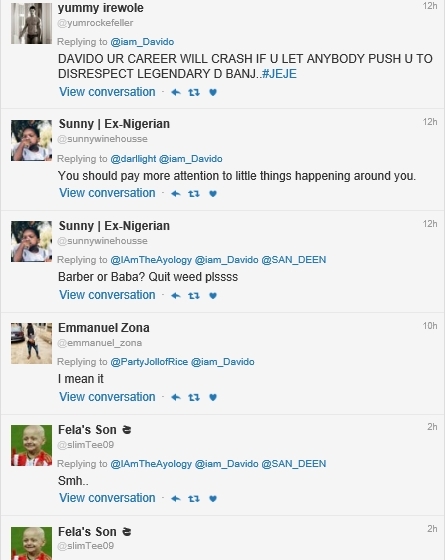 God so good, Davido has also confirmed what D’banj said about the Rolex issue but after some minutes, fans has been giving to themselves some foul words about the issue. When Davido confirmed that the Rolex issue between him and D’banj is true, some of his followers were so surprised as they tweeted that he can buy himself many Rolex wristwatch but, why and how is it the D’banj is earning himself respect from such arrant issue. Although, Davido didn’t sounds Disrespectful but what got some fans talking is what he said after admitting that It’s true that he got his first Rolex from D’banj. He added “….but I never signed anything! He paved the way for me any day! ❤️. 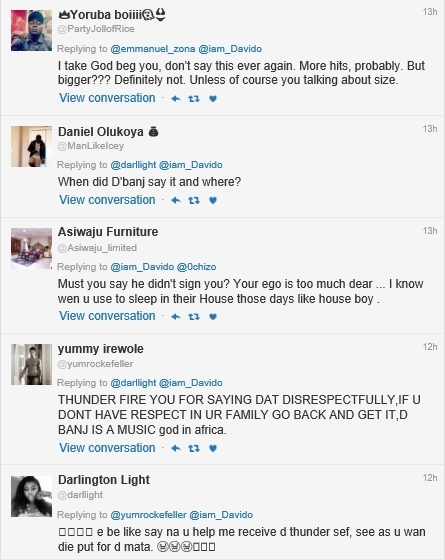 A follower said that it’s sounds so disrespectful for Davido to say he’d never sign any deal with D’banj. 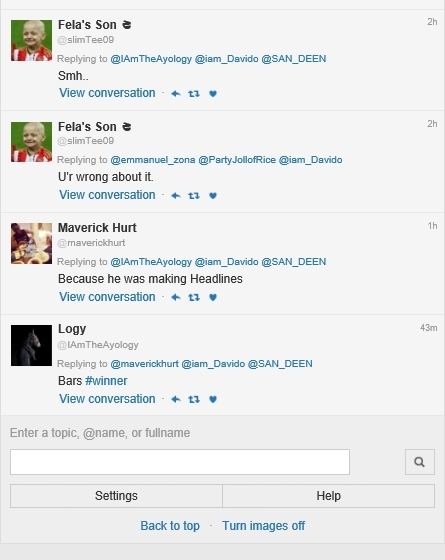 Another follower said that His (Davido) career will crash if he disrespect the legendary D’banj.